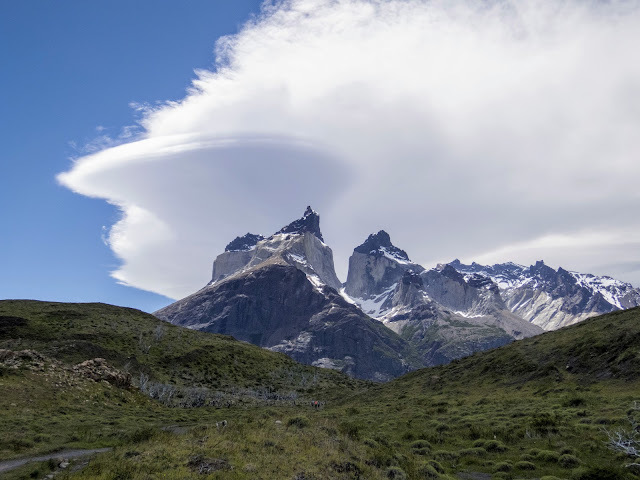 A Torres del Paine day trip from Puerto Natales is a good option for exploring this beautiful region of Chilean Patagonia if you don't have the time, ability, or interest in doing the multi-day W trek. Read on to find out more about how to visit Torres del Paine National Park in a day including time for a few short hikes on an independent self-drive. We rented a car from Hertz in Puerto Natales, the nearest sizable town to Torres del Paine National Park. You should be aware that the road quality in Patagonian Chile varies widely. The main road (Route 9) was mostly paved but as soon as you detour onto smaller roads you'll be driving on gravel. Slow down or the ride will be quite bone rattling. 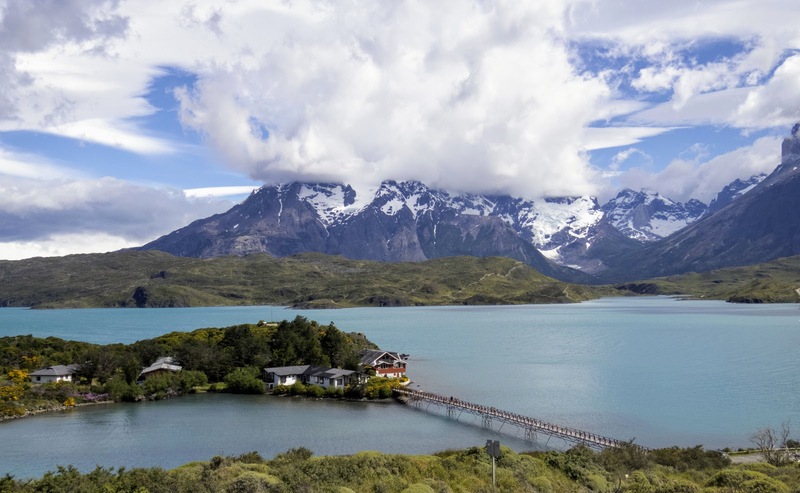 It normally takes about an hour and a half to drive from Puerto Natales to the entrance to Torres del Paine National Park. 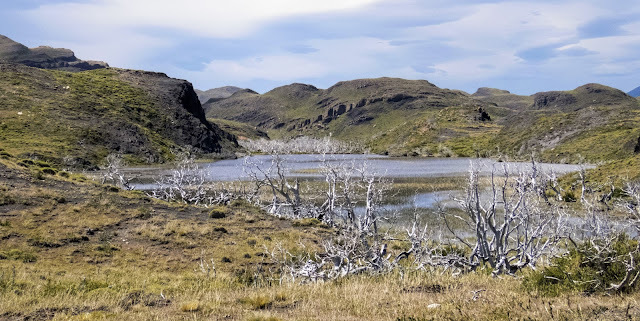 There were some road closures around the Mylodon Cave area just outside Puerto Natales which added an additional 30 minutes or so to our journey. 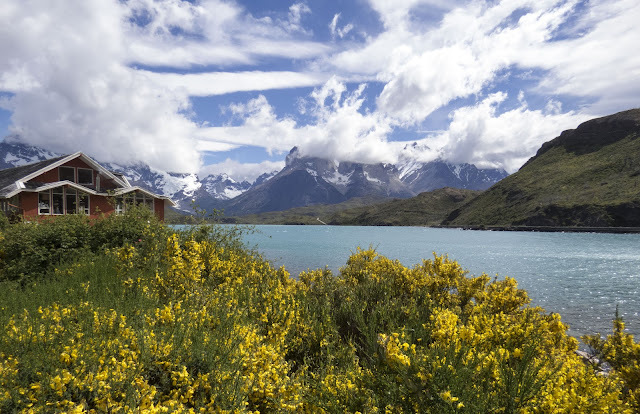 Our hotel in Puerto Natales recommended driving through Torres del Paine from south to north because there are often low-lying clouds over the park in the morning. The iconic Torres that the national park is known for are further north so this route gives you the most time for the weather to clear. 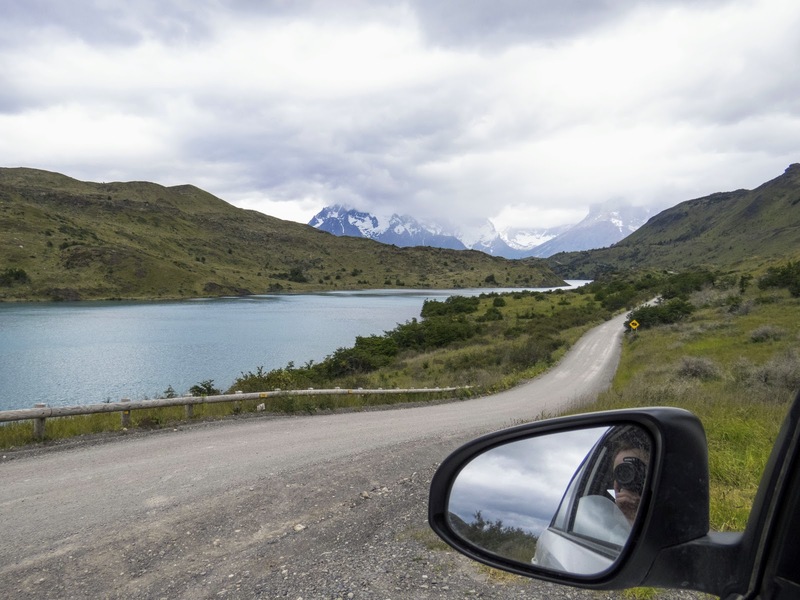 Traveling south to north through Torres del Paine National Park also means that you'll get the most difficult part of the drive out of the way first, returning on paved Route 9. 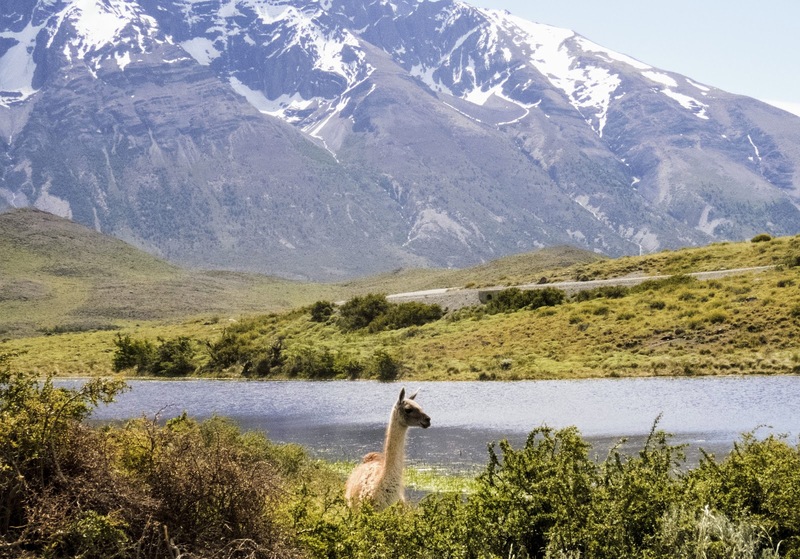 It's easy to get caught up looking at all the amazing natural attractions but you don't want to end up driving back from Torres del Paine to Puerto Natales after dark. 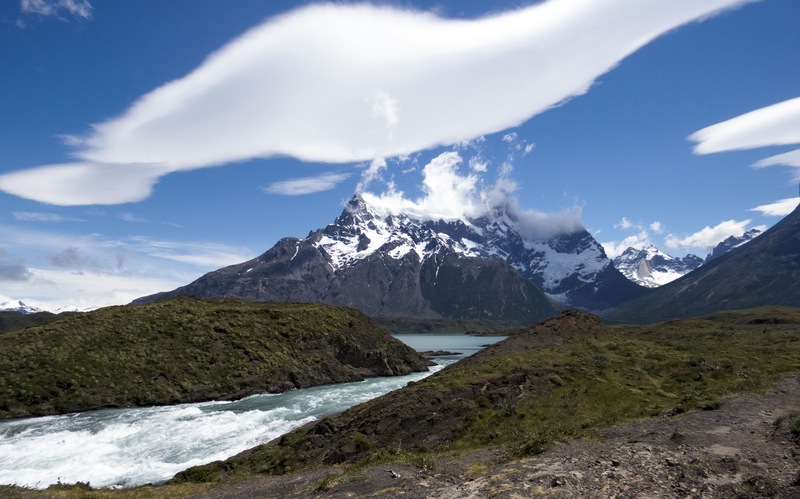 Use the map below to guide your self-drive Torres del Paine day trip from Puerto Natales. 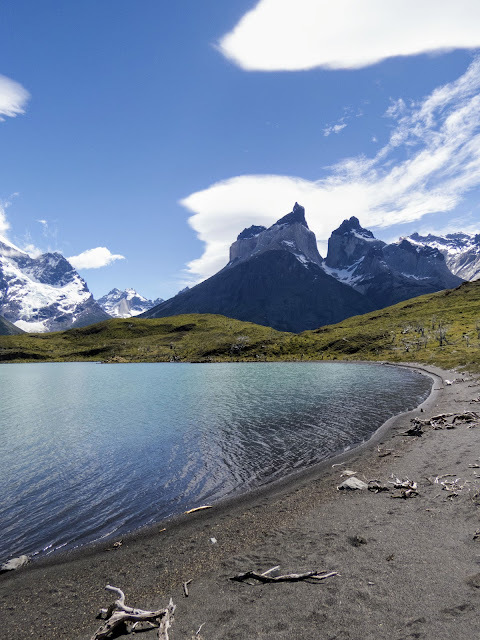 It's possible to squeeze in a few short hikes if you visit Torres del Paine NP for one day. Read on for more about the walks that we chose to do. 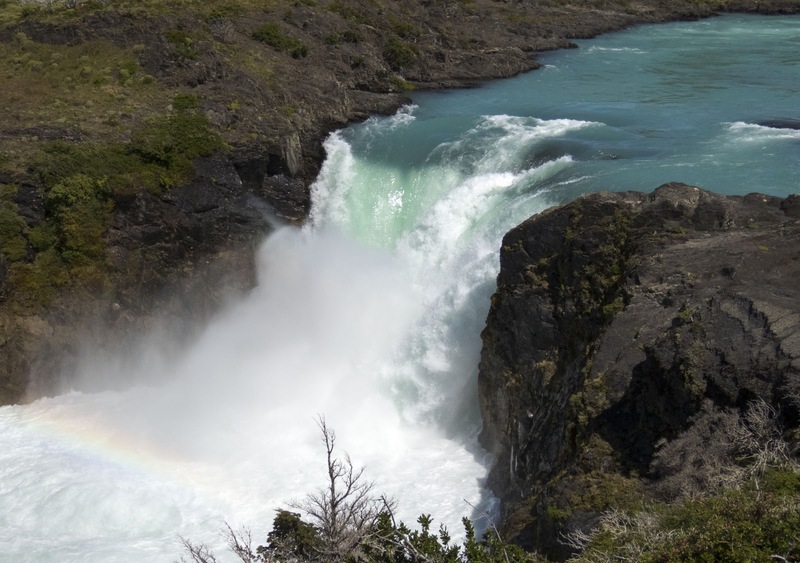 The Salto Chico circuit trail can be accessed by parking near the Explora Patagonia Hotel. A wooden boardwalk takes you downhill from the small car park to the bluest lake I've ever seen. Follow the boardwalk along the lake. 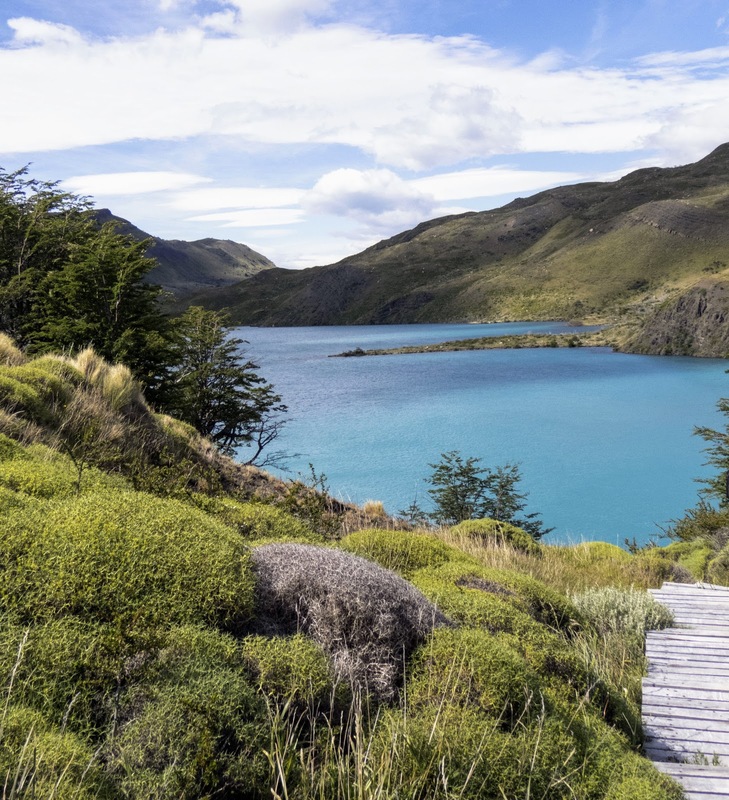 As the path starts to climb again, you'll encounter the waterfall with stunning views of the mountains of Torres del Paine National Park in the distance. Allow yourself about 30 minutes for the walk which includes some time to leisurely admire the view and take pictures. Stopping at a scenic overlook not far from Salto Chico, we noticed a small island with an inviting bridge leading to it. We discovered a parking lot near the entrance to the bridge and decided to take a walk onto the island. The island is on Lake Pehoé and the charming building on the island is Hostería Pehoé. Make this a brief stop. Allow about 15 minutes to cross the bridge to the island and back to capture some amazing images of Torres del Paine National Park before moving on. 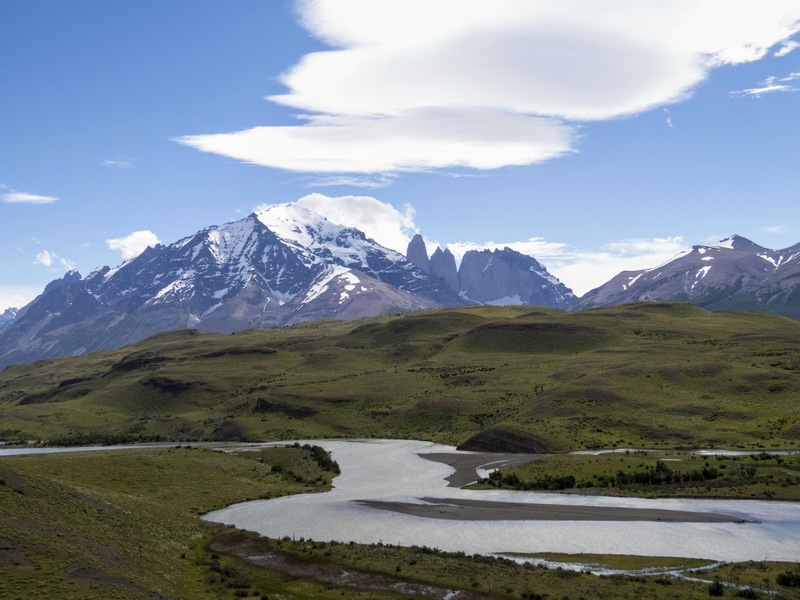 Salto Grande is situated en route to Mirador Cuernos. Allow about 20 minutes to walk from the car park to a look-out point over the waterfall. If you aren't feeling up to a longer walk, you can turn around here and head back to your vehicle. 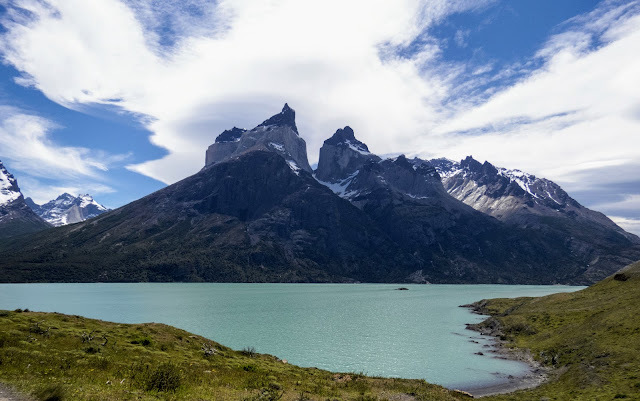 We visited Torres del Paine on our day trip from Puerto Natales in November (Austral summer) so the sun doesn't set until around 9 pm. We were comfortable that we had enough time to continue our hike and still make it back so we could finish our round trip to Puerto Natales before dark. We thus continued onward toward Mirador Cuernos. It takes about 45 minutes to 1 hour to get from the Salto Grande waterfall viewpoint to Mirador Cuernos. The time will depend on how fast you walk, how likely you are to be sidetracked by photography, and how much time you spend admiring the cuernos. As we were walking, we noticed remnants of a forest fire from several years ago which gave the landscape an interesting and scorched feel. 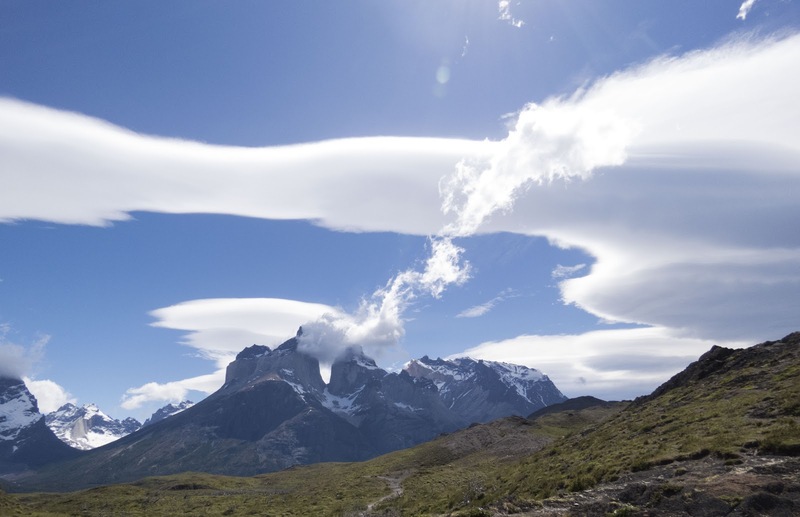 Clouds gave way to sun as we were hiking to Mirador Cuernos and we saw some amazing cloud formations along the way. 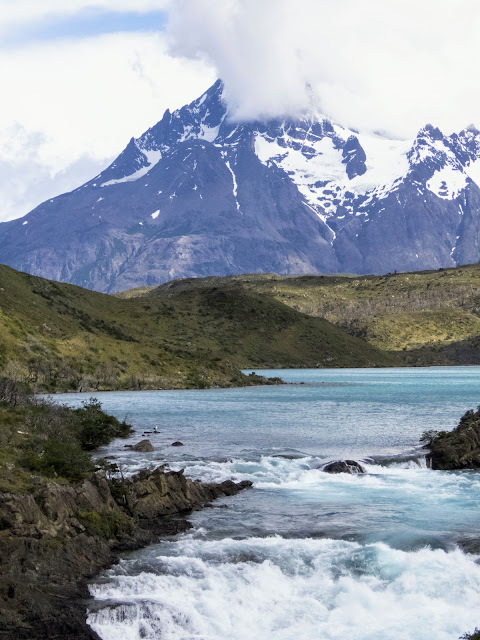 This hike offers positively stunning views and is an ideal addition to your Torres del Paine day trip. 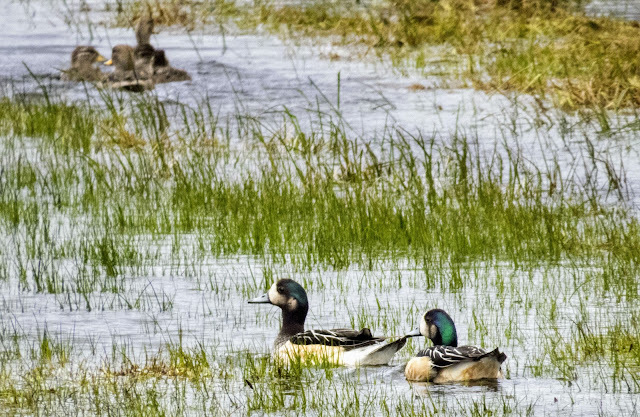 We were also excited to see some wildlife on our day trip to Torres del Paine including birds and Patagonian mammals. 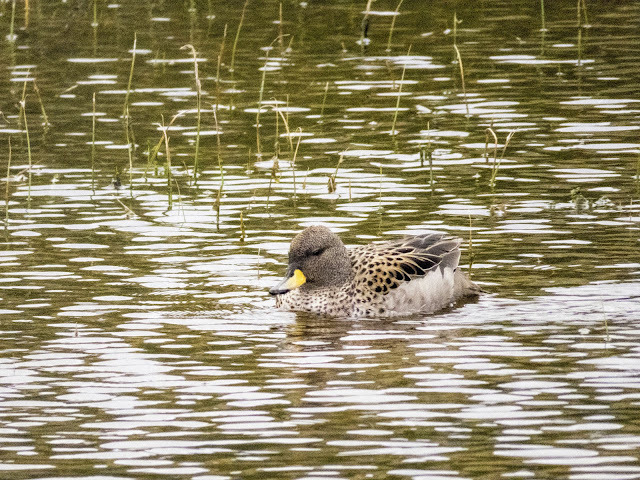 There wasn't a lot of traffic cruising through Torres del Paine when we visited so we pulled over the side of the road whenever we saw some cool ducks. We spotted chiloe wigeons and spectacled teals. 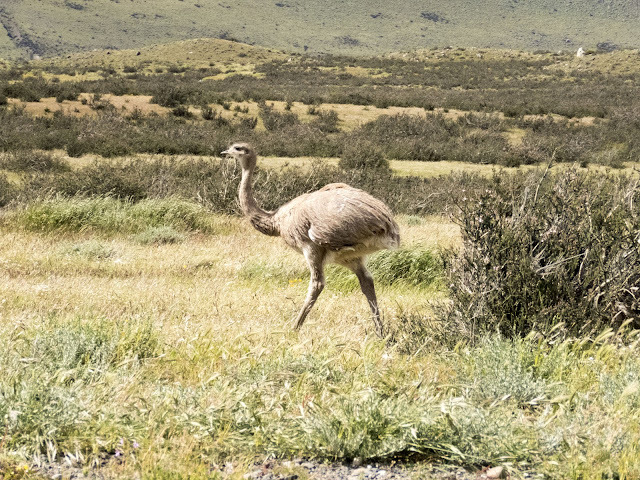 By far, the most awesome Patagonian bird that we saw in Torres del Paine National Park had to be the rhea, a large flightless bird and relative of the ostrich and emu. We spotted a rhea near the road on the way out of the park but saw the bird too late to stop and take a closer look. 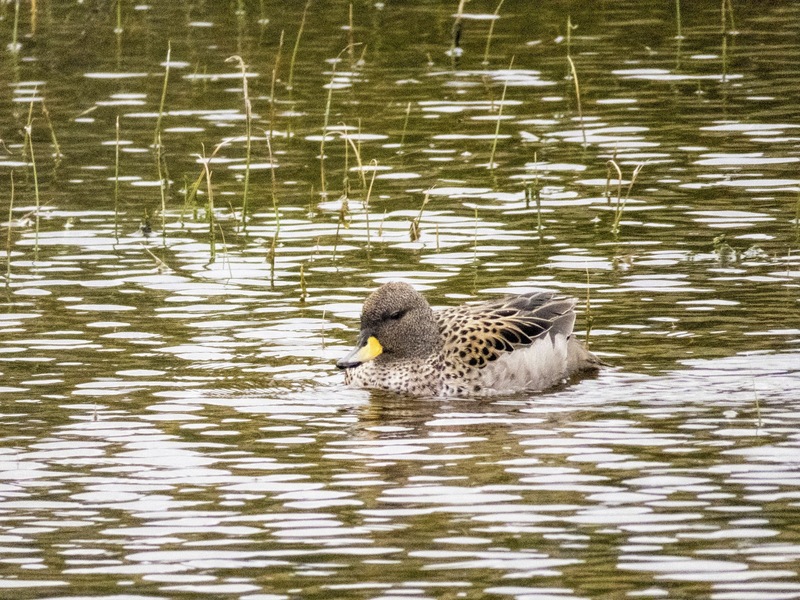 Recognizing that we would only get this experience in Patagonia, we made a U-turn at the first possible moment and drove back a good mile to see this amazing bird grazing at the side of the road. We also saw a ton of guanacos in Torres del Paine National Park, mostly at the northern end of our drive toward the end of the day trip. Guanacos are related to llamas and alpacas and look amazing against the natural landscapes of Torres del Paine Park. Watch out though...you definitely don't want to hit one of these fellows with your car. 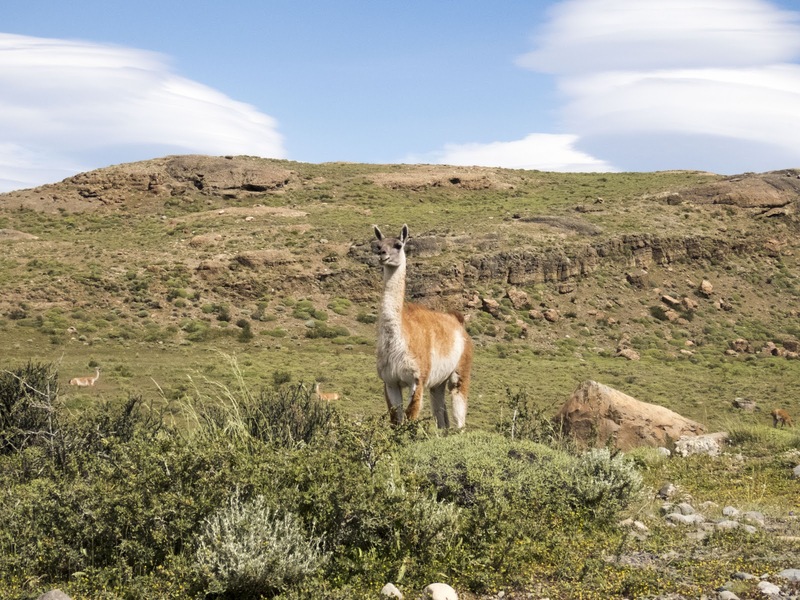 Fortunately, the bone-rattling gravel roads have a positive side effect: you can't drive too fast and the guanacos are more likely to hear you coming and get out of the way. You won't have time to hike to Mirador Las Torres on a day trip to Torres Del Paine National Park. The hike to the viewpoint and back can take a full day by itself. 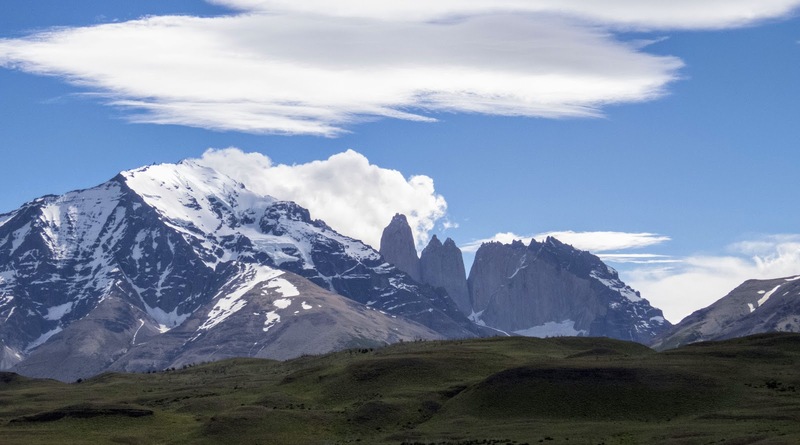 Instead, check out the views of Las Torres from along the road side as you head back to Puerto Natales after a full and invigorating day in the national park. Bring water and food: there aren't too many places to stop and get something to eat in the park. There are some toilet facilities but they are few and far between. 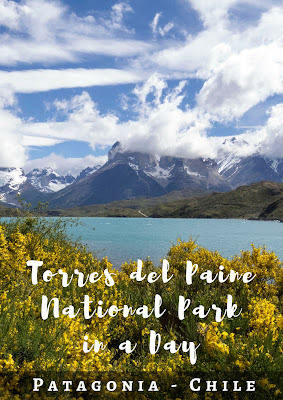 Read about what to do on a self-drive Torres del Paine day trip from Puerto Natales Chile including day hikes in Torres del Paine National Park.